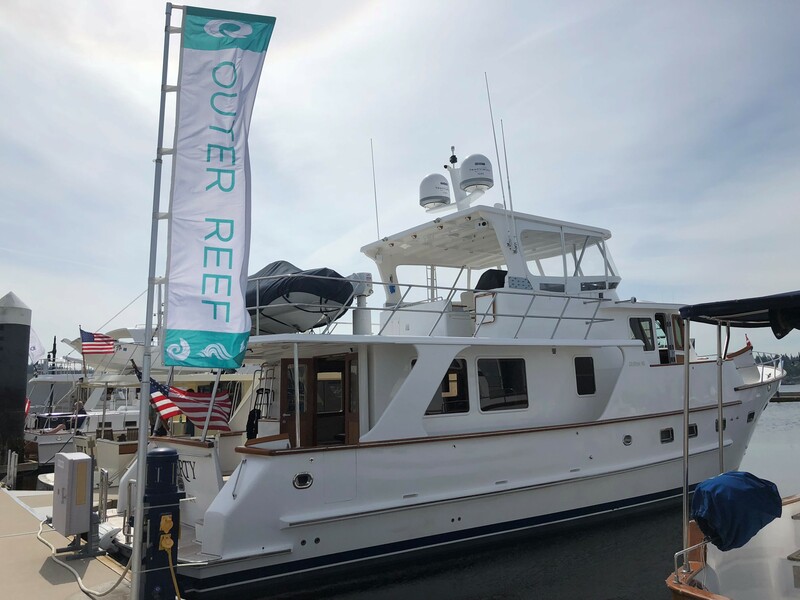 There’s no better place to open your boating season in America’s Pacific Northwest than at the Bremerton Trawlerfest, where Outer Reef Yachts’ sales representatives Matt Maynard and Kevin Blake are ready to help you with any of your yachting needs. On display is the stunning "LIBERTY", a brokerage, custom-built DeFever which has been boathouse-kept and is exceptionally well equipped. This late model 60 Euro is the perfect boat for the cruising couple with room for friends and family. Pre-register for a tour at the show here, and see you at Trawlerfest! The show runs through Saturday, May 5th.